My post disappeared once again. I had expressed regret that my brother died when he could have survived. He would have been 76 yesterday. I have just returned from a memorial service in his honour. I also shared my view of the strange manner in which certain doctors believe anxiolytics and sleeping pills are the same medication. They may belong to the same family, but one does not take sleeping pills before getting into one’s car. As well, I mentioned being told that I was responsible for the hemorrhage I suffered. I should have known that aspirins thin the blood. Moreover, I am seeing abuse of the elderly. If one loses one’s driver’s license, one also loses one’s autonomy and helpers may start controlling your life. Finally, promoters have found ways of having hastily constructed near or abo make life easier for persons who are ageing. These apartments cost a fortune. One can buy or rent. Promoters want to make millions and do, at the expense of the elderly. We now enter Molière’s Imaginary Invalid. During the fourth performance of the play, Molière collapsed. He fainted. However, he decided to finish the performance. He was then taken home, hemorrhaged and died. He suffered from tuberculosis. Louis XIV authorized his being buried in consecrated grounds, but he was buried at night. The Imaginary Invalid resembles the Bourgeois Gentilhomme. Argan wants his daughter to marry a doctor just as Monsieur Jourdain wants his daughter to marry an aristocracy. Both are comédies-ballets. 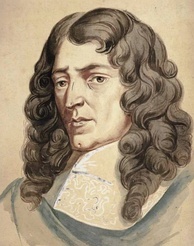 Marc-Antoine Charpentier wrote the music for the Imaginary Invalid and Pierre Beauchamp was its choreographer.